Worries are a complete and normal part of childhood. Kids get worried and scared of all kinds of things: the dark, getting lost, a loved one dying, friendships, etc. You name it, some kid is probably worrying about it right now. One of my kids in particular is prone towards anxiety. 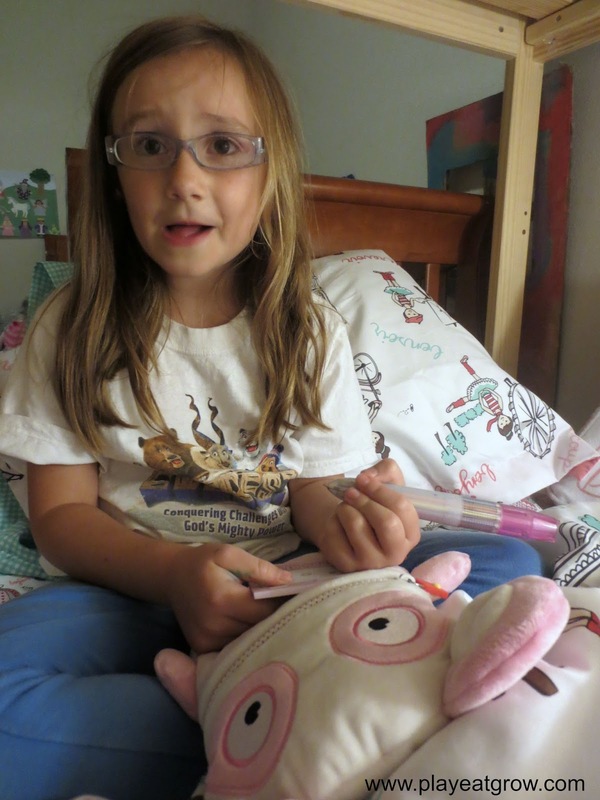 She’s a highly sensitive kid who has an active imagination. Over the years we’ve equipped her with a variety of tools to help her deal with these worries and anxieties. We’ve read lots of books (a few of our lists are here and here). We’ve had lots of conversations. As she’s grown older, she’s been able to better understand herself and has begun to recognize the anxiety and do what she needs to do to get through it. We’re super proud of her. One new resource we’ve recently been made aware of is the Worry Eater. 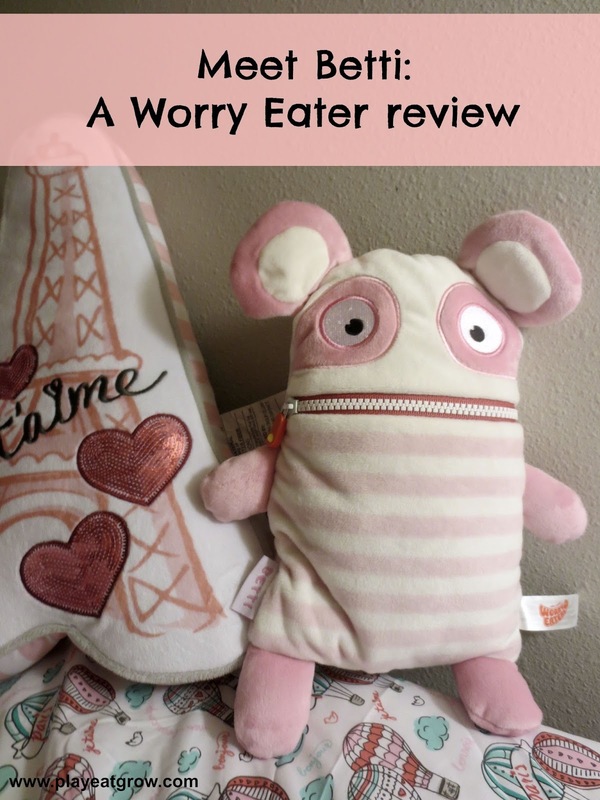 Worry Eaters are soft creatures that “eat” kids’ worries. When kids begin to feel worried, they can write or draw their worry on a piece of paper, unzip the Worry Eater’s mouth, and stuff it in. Zip it back and cuddle up! It’s a nonthreatening way for kids to verbalize what they are worried about, be able to process it a little bit, and then get some separation in between them and the worry. If your child is open to it, you could also use this as a way to know what your kiddo is worried about! We tend to let our kids have personal space and an appropriate amount of privacy, so we won’t ever look in the Worry Eater unless we’ve been given explicit permission. It’s a safe way for kids to express their worries, especially if they have a hard time talking about them. 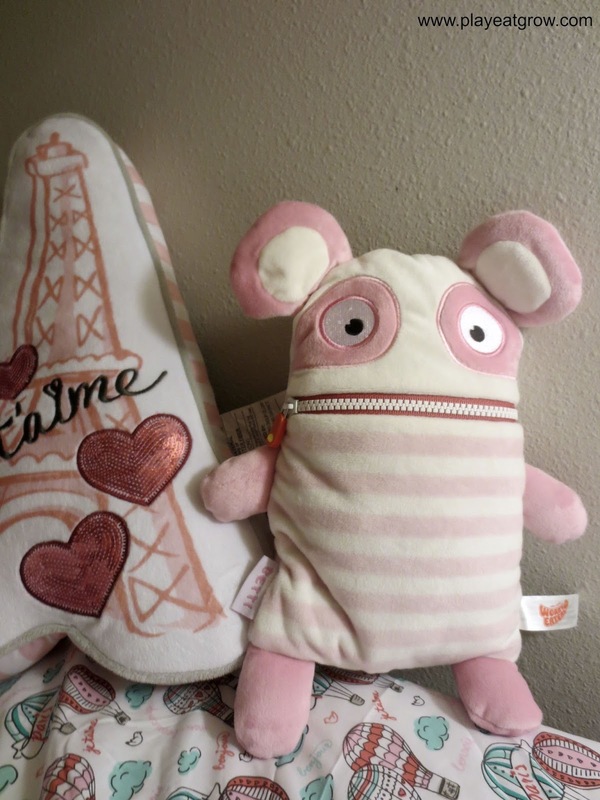 Worry Eaters come in eight different personalities in both small ($15.99) and large ($22.99) sizes. 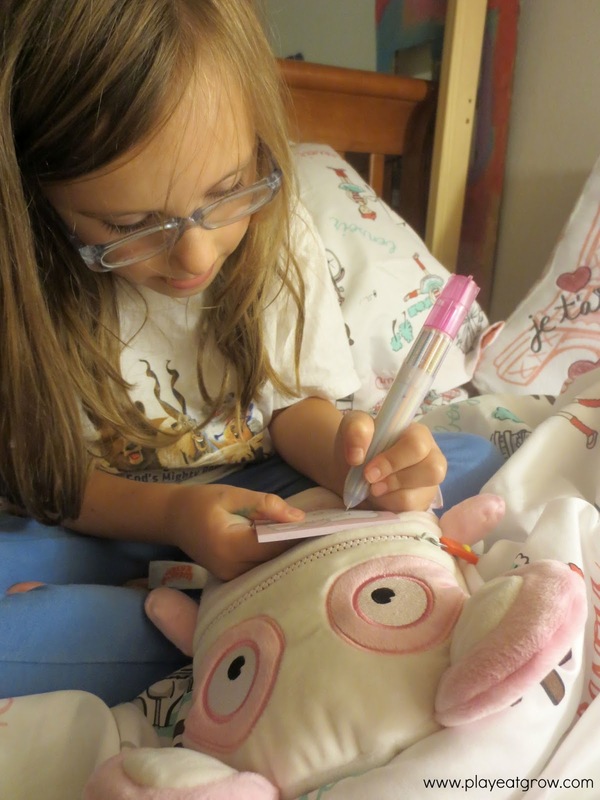 To find out more about Worry Eaters (a product of the Haywire Group), you can visit their website, follow them on FB or Twitter, as well as visit your local independently-owned toy store. Our local toy store currently has a HUGE display up in the front window of their store- super fun!